In 1936, long after the brewery in Butte des Morts had closed, the Oshkosh Daily Northwestern looked back upon the days when beer was made in the small village on the Fox River. Some time previous to the Civil War a brewery was established on the bank of the river. A great vault for aging beer was dug into the side of the hill. This brewery burned but later was rebuilt. Mr. Schwalm, who later organized a large brewery in Oshkosh, was one of the early proprietors. Frederick Bogk bought The business and for many years carried on an extensive traffic in Beer. 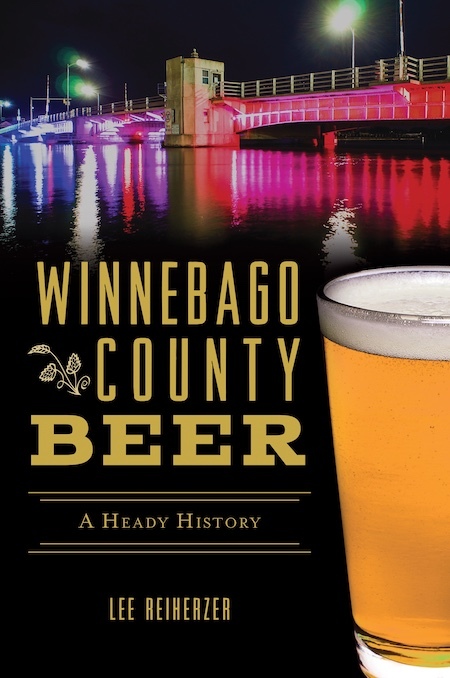 Advancing years and competition from Winneconne and Oshkosh gradually cut into his trade and when the Milwaukee breweries entered the field Mr. Bogk retired. The big red building was a landmark for many years afterward and could be seen for miles from up or down the river. Newspaper accounts of brewery history are notoriously unreliable. This one, however, is fairly accurate. But beyond that paragraph, little else has been written about this brewery. Now, there’s more to add to the story of brewing in Butte des Morts. Like most things related to the early history of the Butte des Morts community, the story begins with Augustin Grignon. Born in 1780, Grignon was the last in a long line of fur-traders of French ancestry who settled in the Fox River Valley. 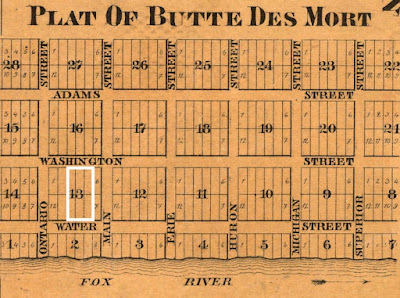 In 1848, he platted the unincorporated village of Butte des Morts and fought to have the Winnebago County seat permanently moved there from Oshkosh. Grignon lost his bid. Butte des Morts never experienced the growth he envisioned. Still, Grignon continued to advance the cause of Butte des Morts. In 1857, he lured a brewer to his village who would launch a brewery. On Tuesday, January 20, 1857, Grignon sold two adjoining lots of land in Butte des Morts for $100 (about $2,800.00 in today’s money) to a German immigrant named Christoph Klenk. 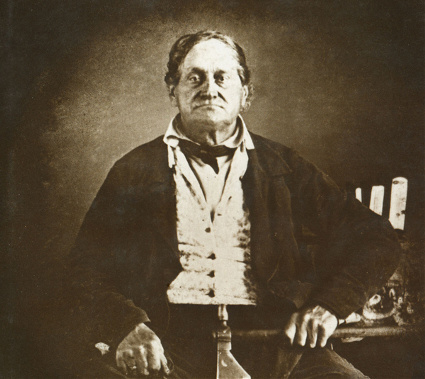 Born in 1816 in Württemberg, Klenk arrived in America about 1848 and may have worked as a brewer in New Orleans prior to his arrival in Wisconsin. The property Klenk purchased from Grignon is located on Washington St. in Butte des Morts between Ontario and Main streets. The sloping parcel forms a shallow bluff overlooking the Fox River where it gathers into Lake Butte des Morts. It was an ideal spot for the brewery Klenk would build, with a hill to tunnel his beer cellar into and close proximity to the winter ice harvest on the river. Klenk probably had his brewery in Butte des Morts up and running before the close of 1857. By 1858, the brewery was undoubtedly operational. 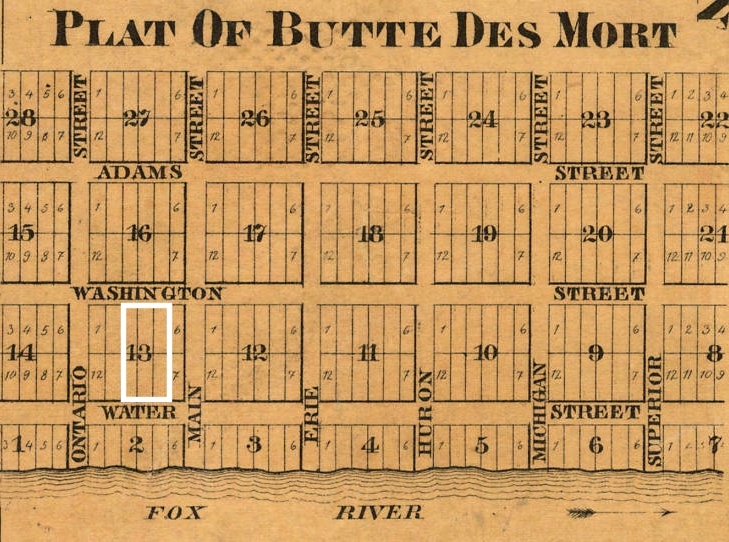 At the time of the brewery’s opening, Butte des Morts was home to fewer than 800 people. But the village also contained at least two hotels and a saloon that brought travelers to the area. In all, it was enough to support Klenk’s brewery. In fact, it appears the brewery thrived. The Location of the Brewery in Block 13, Highlighted in White. Klenk expanded the brewery, buying two more adjoining lots of land. But he was also looking to the future. 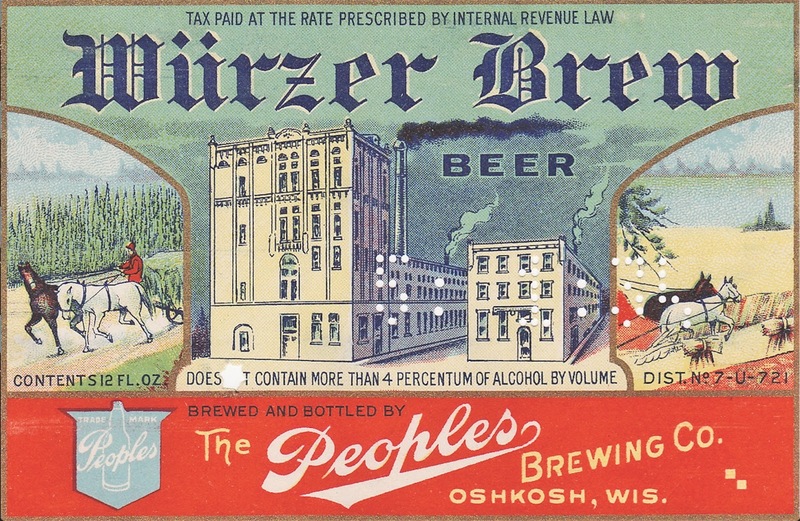 On November 17, 1862, Klenk sold the Butte des Morts brewery to an entrepreneur and fellow German immigrant with close ties to Oshkosh’s burgeoning beer community. Prior to taking ownership of the brewery, Louis Schwalm had run a liquor store and lager beer saloon in Oshkosh. 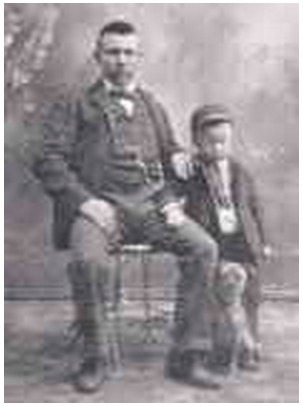 Schwalm wasn’t a trained brewer, but his younger brother Leonhardt certainly was. The 1936 article quoted above includes this: “Mr. Schwalm, who later organized a large brewery in Oshkosh, was one of the early proprietors.” The Mr. Schwalm referenced is Leonhardt Schwalm, who would launch Horn & Schwalm’s Brooklyn Brewery, which later merged with two other breweries to form the Oshkosh Brewing Company. Just what role Leonhardt Schwalm played in his brother Louis’ brewery isn’t known. It’s safe to say, though, that the younger Schwalm already had his hands full. At this time, Leonhardt Schwalm was involved with Oshkosh’s Lake Brewery. He had leased that brewery in June 1862. His lease on the Lake Brewery would run until September 1865. Two months after the lease ended, Leonhardt Schwalm purchased the Butte des Morts brewery from his brother. But Leonhardt Schwalm’s intention was not to continue with the brewery in Butte des Morts. A month prior to purchasing the Butte des Morts brewery, Leonhardt Schwalm had bought property in Oshkosh where he was about to build Horn & Schwalm’s Brooklyn Brewery. On December 13, 1865, Schwalm sold the brewery in Butte de Morts to yet another German immigrant. His name was Frederick Bogk. Frederick Bogk was a brewer. He was born in Rossla, Germany in 1819 where he had learned to make beer. Before leaving Germany in 1853, Bogk had worked in Rossla as an innkeeper and brewer. By 1860 he had settled in Oshkosh where he ran a liquor dealership. Five years later, Bogk was back to brewing beer. Initially at least, the brewery appears to have done well under Bogk’s ownership. A year after purchasing the brewery, Bogk acquired two more adjoining parcels of land. The brewery now covered six lots. As the 1936 article indicates, at some point the brewery burned down and was rebuilt. When the fire occurred isn’t known, but the brewery that Bogk worked from was the one that would be remembered years afterward as the big red building that was a landmark for travelers on the Fox River. But Bogk’s brewery suffered the same fate as hundreds of other small, American breweries in the early 1870s. The number of breweries had risen dramatically after the Civil War, but the size of the new breweries had also increased. Small breweries, such as the one in Butte de Morts, were gradually edged out by breweries with larger production capabilities. The 1936 article states that competition from breweries in Oshkosh and Winneconne cut into Bogk’s sales. 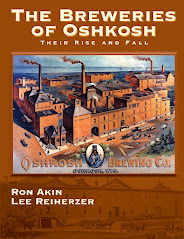 Rahr Brewing of Oshkosh, launched in 1865, was especially tenacious. The Yager Brewery in Winneconne was operational by 1867. Bogk’s small brewery was no match for the intense competition it was now facing. The Butte des Morts brewery closed in the early years of the 1870s. The last listing I’ve found for the brewery is from the Wisconsin State Business Directory of 1872-1873, published in December 1871. By this time, August Grignon had been dead for more than a decade and Christoph Klenk was brewing beer in Buffalo, New York. Frederick Bogk died on May 4, 1886. His shuttered brewery remained in the hands of his descendants until 1896, when the lands were deeded away. The lots became residential properties. There’s not a visible trace of the Butte des Morts brewery remaining on the property where it once stood. The one relic that harkens back to its existence is the grave of its last brewmaster. Frederick Bogk is buried in Plummer Cemetery, a couple of miles from where he once brewed beer. His gravestone is weathered, barely readable. Its inscription is as faded as the memory of Butte des Morts’ landmark brewery. A current view from Washington St. of the property where the brewery was located.